Sometimes I show songs to CONTROLRadioUK HQ expecting to be told no because others can't grasp my superior musical taste. 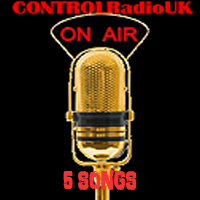 Sometimes I show songs to CONTROLRadioUK HQ & I'm pleasantly surprised that whilst others can't grasp my superior musical taste, they still think it sounds ok & it lands here for you lovely folks. I love the sound of the song, especially in the chorus, and how deep the lyrics are. Most importantly I like how the video's presented for a live VEVO performance. The balloons and flickering of light really help to emphasize the songs somewhat dark tone, and I look forward to hearing more stuff from Bishop Briggs (which I know I say every week but there's few joys in life better than discovering new music). First things first; Zak has a vocal range that is pretty similar to John Newman & every time I hear this song for a few seconds I'm very confused. Secondly i don't need songs to always have super deep lyrics along with really deep music. Sometimes it fits the tone and sometimes it can be a bit much, so I'm really glad that whilst this song has deep lyrics, they're accompanied by a beat I can dance to. Having listened to a few more of Zak's songs (and been made to really miss playing table tennis), this guy should have a good future ahead of him. Zak Abel is a British singer/songwriter and you can pre-order his debut album 'Only When You're Naked' now. I cam across this yesterday and had to bump another song from the picks because this is so good, I couldn't wait a week to talk about it. This really surprised me because in the past I haven't liked her stuff that much. Not to say it's bad but it's not really my taste but I like this. The lyric video's is a little simple compared to some I've seen recently, but I love space so she gets extra points for that. The lyrics are slightly basic in parts and I really don't like how some musicians stick to the rhyming system which I think is out of date. But there are other parts of this song which are really deep & I love the music. It's not too in your face because that'd be completely wrong for the songs tone, but it doesn't just sit back either; the balance is perfect. Gabrielle Aplin is an English singer/songwriter, this is the first song from her new EP and her previous albums 'English Rain' & 'Light In The Dark' are available now. This video reminds some at CONTROLRadioUK HQ of Kylie Minogues 'I Believe In You' which I think is a really unfair comparison because that video actually had some life in it - all this one does is make me want to sleep. But you know I'm willing to put a boring video aside when the songs fantastic, and this is. Yes the chorus could maybe be stronger, but like Gabrielle above, I think this song gets the balance just right. Fun fact for you? I got this confused with Bonnie Tyler because for the second time this week my brain can't handle names that are similar (though granted I wasn't the only person to mix up Criminal Magic for Criminal Minds so I won't be too harsh). Little history less for you here: whilst you may not know Bonnie, you will know songs she's had a hand in writing. My top picks are 'Supernatural' by Ke$ha & 'Legendary Lovers' by Katy Perry but there are many more. Bonnie KcKee is an American singer/songwriter and the 'Bombastic' EP is available on Apple Music & Spotify. This song is awesome. Yes the video's a trip and a half but this song's been on repeat since I came across it. I love the build up, I absolutely adore the music & the lyrics are quite good as well. I don't think anything I say can quite do justice for how awesome this is, so just press play and thank me later. Temples are an English rock band and you can pre-order 'Volcano' now.